“You learn something every day” my mother used to tell me. Whilst as a spotty-faced teen this would often be met with a scoff of derision, I now know that she was right. Technology has transformed how we all access information and learn daily. Thanks to the Internet, I can now constantly educate myself – even if that is reading the latest entertainment news on GeekTown or learning Gordon Ramsey recipes on YouTube. This ability to digitally digest new information daily improves my in-built knowledge base, both for the benefit of myself and my job. It’s not just the fact that technology has improved education for us all, but that the technology itself is now able to learn through new forms of artificial intelligence and machine learning. First coined as a term in 1959 by Arthur Samuel, machine learning is where technology uses complex algorithms so that it can learn from and make predictions on data. 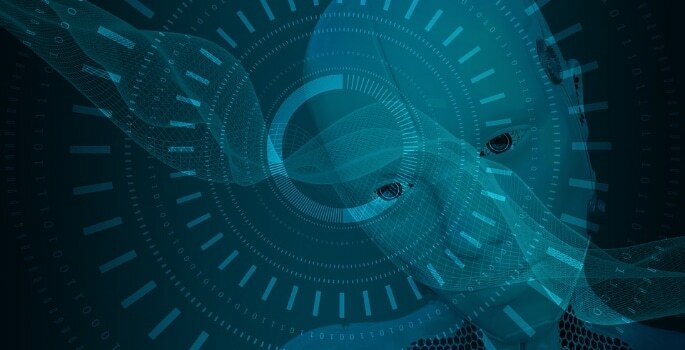 Machine learning is today employed for a range of complex computational tasks, from optical character recognition (OCR) to the detection of network intruders launching a cyber-attack. It is the latter that is of most interest to schools and colleges. Whilst a core component of Government regulations such as safeguarding, keeping an education establishment’s network free from external attacks is more challenging today than ever before. This is due to an increasing number of new and ever-changing threats that are emerging each day. The sad reality is that with the threat landscape now evolving so quickly, it is impossible for legacy solutions to keep up with morphing attack vectors. Therefore, solutions such as ours leverage machine-learning models to assist in the detection of known, unknown and evasive malware types. In fact, multiple machine-learning algorithms are used in tandem to aid in accuracy and reduce false positives. By correlating data from lots of different sources, they can have the most up-to-date view on whether a series of events constitutes a threat or not. Whilst the rise of the machines is often perceived as a negative, having machines that can think for themselves and learn ‘on the fly’ is a great advantage to keeping bad guys out of your network. As attacks become increasingly automated, we need an increase in the automation in the tools we use to defend ourselves, if only to keep apace. The truth is that even with an IT department of hundreds, it would be impossible today for human analysts alone to spot what was going on until it was too late. You can’t take this risk with the security of your systems, pupils and staff, so now is the time to bolster your cyber defences with machine learning technologies.